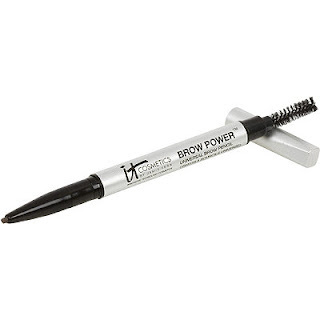 In one of my recent subscription boxes, I received a travel-size version of It Cosmetic's Brow Power Universal Eyebrow Pencil. I typically use powder and gel on my eyebrows, but not often pencil. I feel like it's harder to make pencil look natural. That hasn't been a problem with this pencil, though, and it has quickly become part of my daily routine. There are two things that set this pencil apart for me. The first is the shape of the tip. It's not your typical pointed pencil but is instead more oval-shaped. This helps avoid harsh, unnatural lines. The second thing I love is the color. 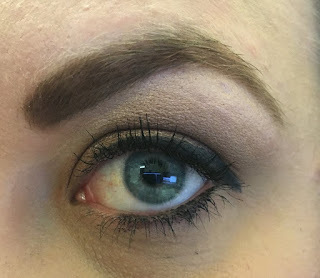 While I can't attest to it actually being "universal" (as I only have one color of brows, and I don't know how this product would work for other people), I can tell you that I've used it on days when I go lighter and darker with my brows, and it seems to transition wonderfully. 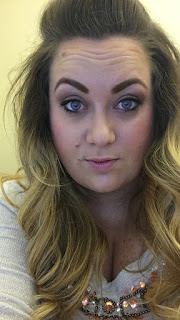 For the record, it's difficult to take pictures of your own eyebrows. 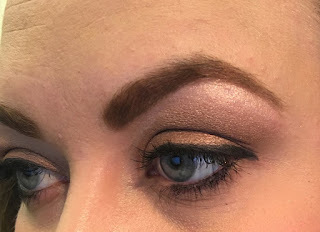 I would recommend It Cosmetics as a go-to brand any time you're in the market for a new brow pencil, but I would particularly encourage you to give this one a try.